There are a number of people in Pakistan who always wishes to buy plot. The attractive and healthy returns of investment in the real estate sector tempt many people. In the past, people mostly tend to make short term investments, therefore, the market trajectory was largely determined by this trend. Their rapid strategies and hasty practices raised real estate rates drastically. This dangerous increment made it almost impossible for a common man to buy a property. Thus, a large number of genuine buyers were sidelined. However, things started to improve for the country’s real estate market over the last decade. The combination of flexible and favorable government policies with the buyers’ eye to see the industry as a lucrative platform for secure investments, has turned many things in favor of this industry. Due to the recent recession in the real estate market across the country, the property prices have declined in the various parts of the country. Many property experts believe this time as the perfect one to purchase the property. We’re currently facing a shortage of over one million houses in Pakistan. Alarmingly, this gap has been increasing on a daily basis. Real estate gurus believe that the right strategy for the real estate market can guarantee the bright future of this industry in Pakistan. In this regard, the government apparently seem to be ticking all the correct boxes – specifically regarding enforcement and policy proposals. The initial requirement includes verifying and researching certain claims. Moreover, the advice below will not only help you identify the potential loopholes that ultimately lead you to the property frauds but also help you to avoid facing common frauds in the real estate market. Genuine buyers usually look for inexpensive units. This tradition, however, can be lethal, as the deals of properties with the low price tag have a larger tendency of potential vulnerability that ultimately causes property fraud. The resale potential is another issue for inexpensive units. Hence, we highly advise you to always opt for the projects which are owned by reputable builders. Moreover, never invest your money before paying a visit to the site. Real estate gurus always recommend buyers to buy property when the market is observing a downward trend. Comprehensively, this is the best ever property investment tip of all time for the people looking to capitalize on the Pakistani property market. The public authorities investigate various housing schemes to assess them on certain parameters before verifying their approval status. At the moment, there are a number of residential projects awaiting approvals from concerned development authorities and utility service providers. So it is highly recommended to check the approval status of such scheme before making any deal related to them. Particularly, in the case of Lahore Development Authority (LDA), the authority warns buyers against the scheme publicity gimmicks and overpriced cut brochures of these schemes. Even more precisely, the authority explicitly urges purchasing parties to verify the full details of their scheme’s approval status. As extra protection, we recommend you to always access the office of the Revenue Department in order to verify the status of a plot owned by the relevant project developer. Understandably, the absence of tangibles such as project approval documents against any verbal security should not be trusted until any documented evidence has been provided. Last but not least, must confirm if the builder has approvals for utilities such as gas, water, electricity, and sewerage connections. Housing schemes nowadays have brochures that largely consist of a blend of glossy project images which sometimes exaggerates the actual situation on site. Moreover, they claim to reserve some area for the facilitation on offer. At the time of your visit, do check yourself if the developers actually have the reserved space as per their claim. During the construction phase, it’s quite understandable that many promised amenities may not be readily available. But in this case, we suggest you to always double check that if the developer reserved vacant space for those facilities. The situation otherwise is not favorable and you need to inquire further. The matter comes next is the payment plan. Do always check if payment plan you’ve got includes all the expenses you need to pay. It must necessarily include the details of the membership fee, development charges, processing fee, possession charges, and registration charges. Just in case your payment plan lacks these particulars, must demand these details in the written form. You’ve to make sure that you have a signed legal document from the builder which clearly states that the communicated payment plan is inclusive of all the expenses mentioned. if your considered society is passing through the development phase, you should inquire about the estimate of the delivery time from the builder. it is highly recommended to have a written estimate on the time needed to hand over the possession. If the builder has applied for the NOC regarding the provision of utility services, always ask for evidence. Also, check out the list of plots mortgaged with the relevant authority. Make sure that the plot you are going to purchase is not falling in the list of mortgaged or located in the space reserved for amenity plots. for a safe side, do confirm if no investigations or inquiries are underway against the builders. The relevant authorities are not only keen to apply transparent practices in the real estate market but also striving for it. These efforts essentially reflect the bright future of the property business in Pakistan. Property prices actually vary from one scheme to another, based on the individual plan of the society. If you’ve chosen a plot in some developed scheme, it may work perfectly for you. You should inquire about the prevailing market prices. To get a fair idea about it, you need to get in touch with a few real estate agents. You can enquire or research yourself about the market rate of a similar or same plot from various sources. One thing you should keep in mind, there is always a probability of dragging down asking rate by 10% to 15%. That’s why we advise you, always try to negotiate. The negotiations bend towards purchasers if the market lacks active buyers. In such a case, you may get a good bargaining margin. Normally, real estate agents charge 1% of the property value. A real estate agent is bound to get 1% commission from both the parties if only one agent is involved in the deal. However, this is not something applicable in all cases. Some agents work on 2% while some work on even less than one percent. In some situations, real estate agents fix the amount of commission. The commission margin of agent largely depends on the negotiation skills of the buyer. It is highly recommended to settle the rate of commission beforehand. However, a buyer is not entitled to pay anything else to an agent other than his commission. After a successful deal, the next stage is transferring property ownership. This section provides you thorough details about transferring property. Let us assume that you’re done with finalizing the plot deal after carrying out your due diligence. The plot is located in a developed housing scheme and owned by an individual. If you purchase it directly from the builders, the society will not transfer it but only allots you this property. All the details we’re going to share with you from now onwards are applicable once seller and buyer have finalized the deal. this can be done through direct communication or through an estate agent. In the next step, both buyer and seller have to decide a common time to visit the society’s office to apply for NDC, The No-Demand Certificate. Essentially, the NDC is valid evidence of the fact that the property seller doesn’t default any taxes or any other dues. Obtaining the NDC is the initial step in the property-transferring procedure. This procedure usually takes a couple of days. Unions also charge a little amount as the processing fee against the issuance of this certificate. The selling party is entitled to bear this cost. Processing charges may vary from society to society. In some cases, it also depends on the size of the plot. Just for a note, there is an option available for the urgent issuance of this certificate if the buyer demands it. In such a case, the buyer needs to pay the double of the fee in order to obtain the certificate on the same day. The issuance of the certificate will mark the plot owner as clear from all the dues. The seller handovers this NDC to the buyer before the procedure proceed further. The next step in the property transfer procedure is the property purchase agreement. It can take place the same day when NDC is issued. 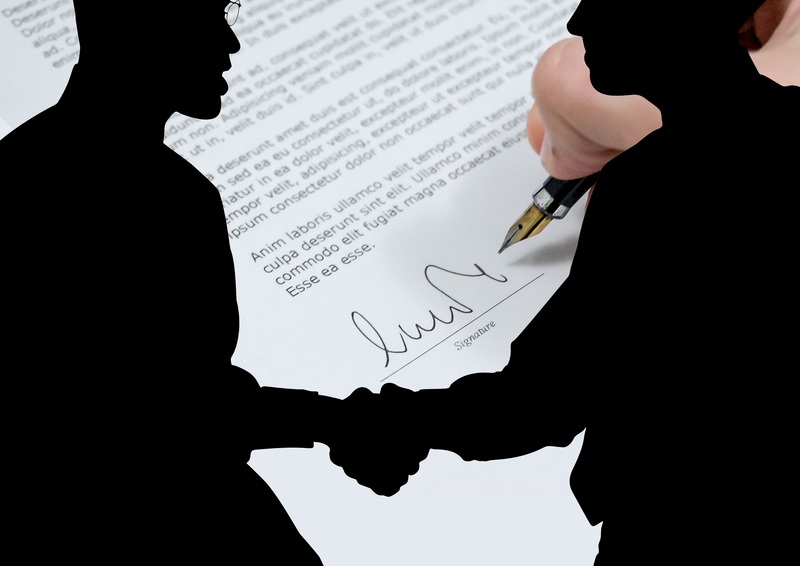 In this regard, Both the buying and selling parties submit an affidavit. In the buyer’s affidavit, the buyer acknowledges that he hasn’t paid the taxes on the plot till the date and agrees to pay these. Furthermore, through this affidavit, the buyer also declares that he agrees to pay the cost for any variation in development charges if demanded by society. In the seller’s affidavit, the buyer declares his ownership on the involved plot. He also made an official request to the union to cancel his plot allotment in favor of the buying party. The document also includes all the required details of the buyer. The official agreement to sell the plot is prepared on a judicial stamp paper. The pattern of the document contains all the necessary details of the buyer and seller. The date of the agreement is also mentioned. Moreover, it also includes details on the final price of the property as well as an acknowledgment by the seller. The official acknowledgment marks the fact that the buyer has paid the committed amount. In the third stage, the buyer has to make payment against the property. He also needs to pay a 5% stamp duty of the plot’s total price and membership fee. In some cases, there are a number of societies that do not accept payment in cash or via cheque. In such a case, you need to pay through a pay order or a bank draft. It is necessary for you to keep these with you on the day of property transfer. You can deposit the pay order in specified branches of the chosen banks. All of these documents have to be submitted in the presence of both buying and selling parties. Right after the submission, the buyer will be guided on the issuance of allotment letter under special circumstances, Buyer is entitled to bear the cost for issuance of an allotment letter. After the successful submission of documents, both the parties are entitled to pay the commission to the real estate agent. The agents follow the process closely to ensure that their efforts get paid off. The agents are present throughout the procedure to guide you. Agents also keep you updated about the required necessities beforehand. So the payment against his service is due at this stage. Usually, unions of housing societies take almost six to seven working days to issue allotment letter. However, the option of getting it on an urgent basis by paying some additional amount always remain intact. Securing the allotment letter should be your foremost priority after obtaining it. In case you lost it, you’ve to go through the re-issue process for the lost document. The process is hectic as well as sluggish that no one wants to experience that.